The Walker Art Center and its Minneapolis Sculpture Garden tours both provide culturally rich and relaxing things to do in Minneapolis. 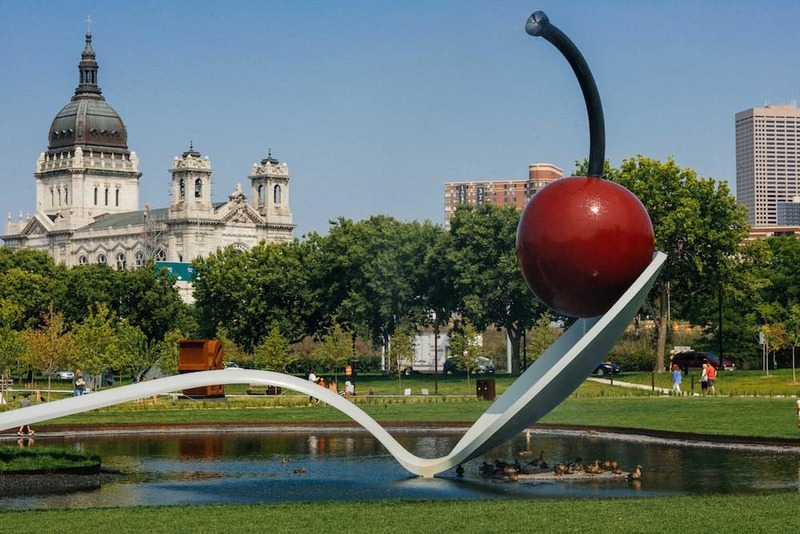 Just a short drive from Brooklyn Park, MN, the Sculpture Garden is located on the grounds of the Walker Art Museum and provides an opportunity for art lovers of all ages to get up close and personal with their favorite works. Founded in 1940, the Walker Art Center features a diverse range of works from both internationally renowned artists such as Andy Warhol and Yoko Ono, as well as up and coming local artists just making a name for themselves on the art scene. The ever-changing collection highlights the power of art in popular culture and its ability to influence public perception through a variety of mediums. In addition to the varied works on display, the Walker also plays host to a wide array of free and member-only events. These events, which include film screenings, live music, performance art, and free admission to select exhibits, allow visitors an opportunity to explore the impact of art and the human condition often while interacting with the artists themselves. Parking is available onsite in an underground garage for $5 per day. Street parking is free, but limited and local parking restrictions are strictly enforced. Those who wish to leave their vehicle at home can hop on the bus from Maple Grove, Minnetonka, or any of the surrounding areas and connect with the Metro. Metro Transit lines coming to the museum are 4, 6, 12, and 25. Free tours of the sculpture garden are available all summer from June 23 – September 1, 2018. The Minneapolis Sculpture Garden at the Walker Art Museum are just one of the family-friendly offering available in Minneapolis, MN. To learn more, or for a better way upgrade your ride, contact Cornerstone Plymouth today.